I'm so happy to share another instalment in my series What Inspires You? Today I'd love you to meet Lisa. I just adored this post, she is an amazing writer! Enjoy! Hello! I am Mrs BC and I blog over at Mrs BC's House of Chaos. Many thanks to Michelle for hosting this series on Inspiration; I am delighted to take part! I am inspired by all sorts of things, for all different reasons, at all different times. What is inspiration,anyway? Is it a lightning bolt from fate, a glimpse at the green grass of possibility, or just a little tickle of your creativity muscle? For me it is all of these things. Although the written word has a special appeal, I am, like most people, a visual person. This means that generally I like to see something so I can understand and appreciate it. Looking at images of things – interior design, a home decor idea, furniture up-cycles, gardens, fashion, are some of my favourite things to look at. They spark my creativity into light bulb moments of things I can do, or at least plan to do. The thing that really inspires me to be my best self is stories of other women, women who successfully juggle a family, a business, some outstanding feat of humanity. These women sometimes blog, sometimes they are stories in the media, sometimes they are public figures; everyday women who just roll their sleeves up and get on with the business of living. I am inspired by their organisation skills, their juggling prowess, and their achievements. Sure they have obstacles, and not everything goes to plan, but they pick themselves up and keep going. Not glossing over the pain of it but still making it look easy. The Pioneer Woman comes to mind, as does Oprah, Dr Fiona Wood, and Aung San Suu Kyi. Just Google inspirational women, there are hundreds that you might relate to. Woman everywhere, that changed their (and maybe THE) world by the sheer power of their will. These women don’t just have the vision; they have the fortitude to make it happen. They are a tough act to follow, but they are incredibly inspiring. Isn't it a great post!!! 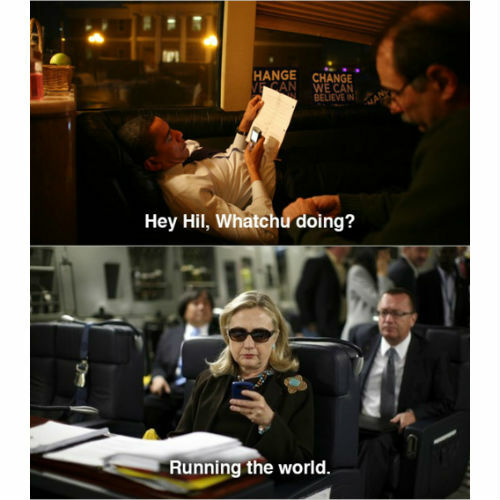 Go Hilary! I am inspired my the same things Mrs BC - (Lisa) love the people who are more organised then me. Same here, other women inspire me to believe that I can do it too, because, not in spite of, being a woman. I totally agree! I am a visual person, I have huge addiction to Pinterest and home magazines! So nice to hear I am not alone! Was lovely reading what inspires another blogger and now I am feeling more inspired! I am most definitely a visual person, and I seek beauty and inspiration every where. Pinterest has made that so much easier...and so much harder too iykwim. SO many inspiring things, so little time. I love this picture. Hilary inspires me, so pleased she came out of Bill's shadow. I am definitely inspired by strong women, Thanks Mrs BC. People that do things and make them appear so effortless inspire me, like organisation, I work so hard at it, but for others it comes so naturally.